Pacific Blue is the subject of at least two investigations by aviation authorities after two incidents, two days apart, above Queenstown. The Transport Accident Investigation Commission is investigating a June 20 incident in which Pacific Blue and Qantas aircraft travelled too close together in what is known as a "loss of separation". Pacific Blue declined to comment on the matter last night, but TAIC chief investigator Tim Burfoot confirmed the two aircraft had come within 304 vertical metres of one another. He said the Pacific Blue pilot was about to land in Queenstown but decided not to because of bad weather conditions, so moved out to do a "go around" before attempting to land again. The loss of separation occurred as the aircraft was climbing. It is not known who is to blame and an investigation could take up to six months. Meanwhile, the Civil Aviation Authority is investigating claims by four witnesses that a Pacific Blue pilot breached rules by departing Queenstown airport in dark, stormy weather on June 22. A spokesman confirmed the airline was investigating the incident on the flight, but said the flight took off "20 minutes before evening twilight". Sixty-five passengers and six crew were on board the aircraft. But CAA spokesman Bill Sommer said investigators believed the flight was "probably 12 minutes late getting airborne". Airlines operating out of Queenstown must depart no later than 30 minutes before twilight as a safety precaution because the airport was not lit at night. The rule is in place because the mountainous surroundings and obstacles are hard to see and, if a pilot changes their mind about departing, they need sufficient time to land. Mr Sommer said the investigation would look at all aspects of the flight, including the crosswind limitations of the aircraft, which he said was 16 knots (29.6km/h). "It's been reported that the crosswinds when they got airborne may have been 20 knots." Investigators would speak to the pilot, the airline and witnesses. One witness, Queenstown harbour- master Marty Black, said it was "virtually dark" when the plane took off into a front. "Not only was it dark, but the weather was bad ... that's not a good mix at all ... it took off, it was airborne and it basically dropped in height. It didn't climb at all." A Pacific Blue spokesman said: "The airline has an internal procedure that aircraft at Queenstown should take off a minimum of 30 minutes before evening twilight. On this occasion the aircraft took off about 20 minutes before evening twilight. "After takeoff the aircraft climbed at a safe and legal height in accordance with the weather conditions at the time and followed the prescribed visual departure procedure to continue its course to Sydney." Transport Minister Steven Joyce said he had been briefed on the incident and expected an investigation to take up to two months. "Obviously it's a concern. Civil Aviation were very concerned at the time and they are undertaking this investigation. They've been talking to Pacific Blue about their operations." Air New Zealand's new Starfish discount card for frequent fliers will go head-to-head with the successful 10-fare discount voucher offered by its only commercial opposition in Northland, Salt Air, since 2008. The Starfish scheme, announced earlier this week, will entitle users to 30 per cent discounts on all regional airfares for an annual fee of $800. A 15 per cent discount costs $200. The discount is for all regional flights to and from regional destinations and all regional flights to a city, or from a city back to a regional destination. Grant Harnish, managing director of Salt Air, said Air New Zealand's Starfish card showed the value of competition for the consumer - although it was a completely different scheme from his company's 10-fare Flexifare voucher. 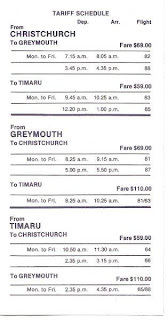 Flexifare currently costs $1090 for 10 "sector" fares from Kerikeri and $990 from Whangarei. Also valid for one year, it includes the cost of the shuttle bus into the Auckland CBD from North Shore airport. "Consumers love the fact they always know exactly how much their fare costs whereas the Air New Zealand offer will be 15 or 30 per cent off the fare available on that day - but good on them. The competition is a great thing for the travelling public," said Mr Harnish. Air New Zealand group general manager Australasia Bruce Parton said customers had told him they wanted cheaper flights when the company visited 20 towns and cities looking for feedback. Starfish would stimulate growth and reduce the price of regional travel for frequent fliers.But United Travel Whangarei managing director David Moss said Starfish was "not necessarily about Air New Zealand being everybody's friend". "It is about trying to capture loyalty. If someone has your loyalty card, well of course they will use it. Loyalty cards are fantastic if you are happy to stick to one carrier. "But users should make careful comparisons between what they will save with the discount, and what they may be missing out on in special deals." The failed Origin Pacific Airways looks set to be wound up without any action being taken against it. Liquidator Wayne Deuchress told The Nelson Mail civil action could have been pursued, but the idea was put to creditors and none were interested in funding it. "The response was pretty much a nil result really." He declined to comment further. Origin Pacific collapsed in 2006, owing $21 million. More than 200 staff lost their jobs, and the so-called "trust account" for passenger funds contained just $91. Origin Pacific Airways was founded by Robert Inglis. He was a director and majority shareholder of the company. Former Nelson coroner Ian Smith was also a director and there were eight shareholders other than Mr Inglis at the time of the company's collapse. Christchurch accountant Murray Allott this month ceased his work as receiver for Origin Pacific. It appears the Inland Revenue Department and all unsecured creditors received nothing. Mike Pero, an Origin Pacific shareholder and creditor who said he lost about $3m in the company's collapse, believes it is unlikely civil action would have provided much return. "It would just be a waste of time, energy and money, I suppose. You learn from your experience and we won't go there again in a hurry." It was a "real shame" the airline hadn't succeeded, he said. "I still think it had huge potential and is something the regions could still do with, but nobody's game to take on Air New Zealand." Cancelled from the register as “destroyed” on the 27th was Piper Pa23-250 Aztec E, ZK-FHO. The Aztec arrived in New Zealand in October 1984 and was initially registered to Whiteleigh Holdings Ltd of Wanganui. 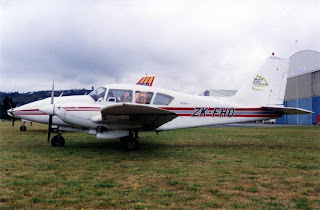 Over the years it had a number of owners but it is perhaps best known for operating Takaka Valley Air Services’ Wellington-Takaka flights from the mid 1990s until the early 2000s. On the 30th of January 2002 it was registered to Tauranga’s Sunair. On the 17th of May 2010 FHO suffered a nose wheel failure at Napier after a courier flight from Paraparaumu which seems to have led to its cancellation. Air Nelson's $12 million hangar is a silver lining in the gloomy economic cloud hanging over the region. The development has already landed the company a new aircraft maintenance contract that is bringing 30 new employees to the region and has provided greater job security for more than 80 existing staff. The three-stage project began last November with the construction of a 5000-square-metre hangar and an office block. The offices are now in use and the hangar will be officially opened at a public day on August 14. The only part left to complete is the refurbishment of the existing hangar, which was built in 1942 and is the earliest steel structure of its kind in the region. Air Nelson technical manager Rob Burdekin said the project was running ahead of schedule and "significantly" under budget. 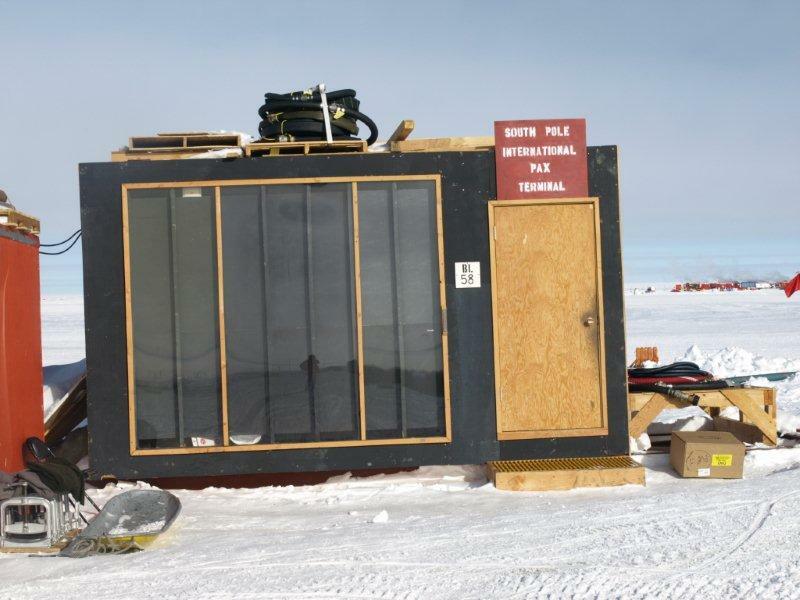 "With a building project, there's always a certain amount of contingency. It's about quotes coming in on target with estimates given by the quantity surveyor. I guess what we're saying is they did a fairly good job." Mr Burdekin said Air Nelson had already employed 16 of the 30 new staff needed for the maintenance work it had secured on Mt Cook Airline's 11-strong fleet of ATR72 aircraft. Some of those new employees were trainees from Nelson Marlborough Institute of Technology in Blenheim or the Air New Zealand training school in Christchurch. Some people who were facing redundancy from Safe Air in Blenheim had also been employed, while other positions were filled by people returning from overseas, Mr Burdekin said. "They need to have experience and qualifications in the industry, so we don't tend to get flooded with people." 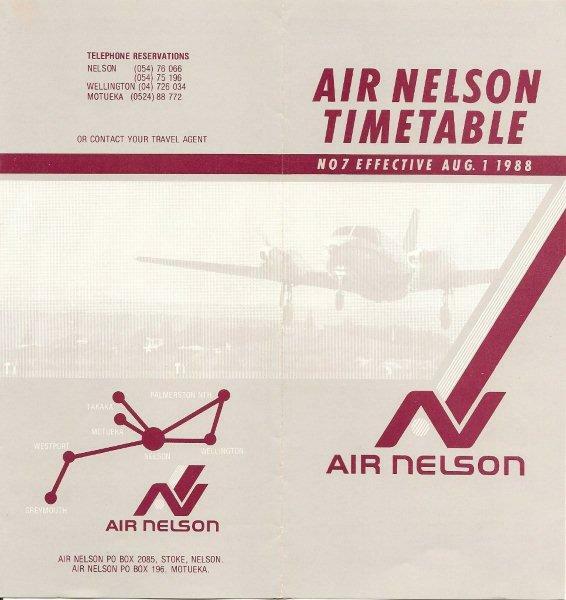 Air Nelson conducts about 12 heavy maintenance checks a year, with each job lasting about two weeks. The new contract will see that increase to about 18 and the company is exploring opportunities to further increase its workload. "The potential that we're looking at right now is for another half-dozen checks a year that's quite realistic." Mr Burdekin said the ATR aircraft fleet was growing in the South Pacific region and the only other maintenance provider was Air Tahiti. "We see quite an opportunity there. We intend to make the most of that. It wouldn't have happened if we didn't have this facility." Nelson stood to benefit significantly, he said. "You look at the contribution those extra 30 staff will bring to the region." Other businesses such as welders and upholstery firms were gaining work from doing things that were part of Air Nelson's core business, Mr Burdekin said. The new hangar helps cement Nelson as a growing aviation hub, also being home to several helicopter firms. Mr Burdekin said the Government's focus for aviation was too centred on places such as the Waikato. "To be honest, if you look at the money that's involved, you'd find this region's bigger. We'd like to see some of that focus and support." More flights may be coming into Hawke's Bay starting from October an Air New Zealand spokesman says, but that won't guarantee cheaper flights. Australasia group general manager Bruce Parton was in Napier yesterday and said the frequency of flights may increase later this year, but only if people filled the seats. Jet liners were not likely to fill our skies either he said as the cost of running them would mean fewer flights in and out of Hawke's Bay Airport. "It's a thriving region for us and one we're keen to support," he said. "Our issue is that if we opened it up to A320 jets then the cost of that would be added to ticket prices." Mr Parton was in town to promote a new loyalty card for frequent flyers in regional airports around the country. Named Starfish the card would come at a cost of $200 for a 15 per cent discount on fares or $800 for 30 per cent and last 12 months. "Our frequent regional flyers have told us they'd like the option of getting even more value for money in recognition of their travel needs," Mr Parton said. The company was investigating new scheduling and waiting to see how popular the card was before making estimates on more flights. "We'll process the information and add more flights where appropriate," he said. Announcements were due to be made in several weeks once more research was completed. On average about 13 flights run in and out of Hawke's Bay between Auckland, Wellington and Christchurch daily. A new runway extension would only just be suitable for jets to use Mr Parton said and he did not envision other providers entering the Bay's flight market. He admitted regional flights around the country had remained static for about four to five years while main trunk routes had cheapened - making the Bay appear more expensive. "We had a case where we had a conference in Palmerston North where they were saying Hawke's Bay was cheaper to fly to," he said. Runway Hawke's Bay Trust member Simon Nixon said Air New Zealand's monopoly on the region was pushing up fares and a loyalty card would not ease this. "How is the card going to benefit those coming down for one time travel? It's fine for those people who live here and travel a lot but I think they are a minority," Mr Nixon said. "Price won't come down unless competition is brought in - the idea does sound like it would do some good but it won't fix the larger issue." Mr Nixon said the current runway extension was right on the limits of operation for small jets. "It will bring in charters which is good but I think larger airlines will be loathe to schedule regular flights," he said. The current 50-passenger planes being used in Hawke's Bay were not adequate for large events. While the service appeared in Air Nelson’s timetable it never got airborne as on the 16th of September an announcement was made that Air New Zealand had bought a half share in Air Nelson and was handing over a number of routes to Air Nelson the following month. 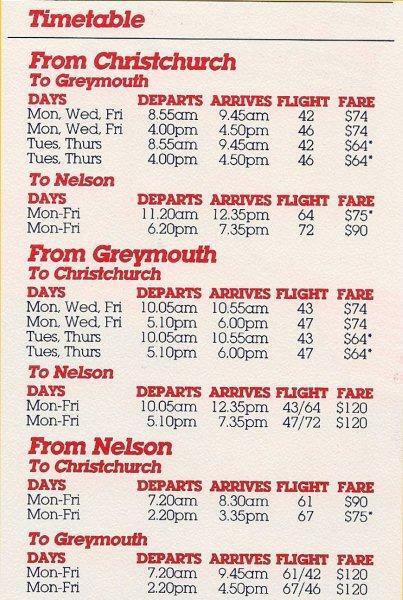 These included Air Nelson operating a twice-daily service to Wellington and a daily flight to Nelson and 19 flights a week between Christchurch and Hokitika with Fairchild Metroliner aircraft. Disappearing from the Air New Zealand national fleet is the Pacific wave. All the Airbus 320s have lost the Pacific Wave. 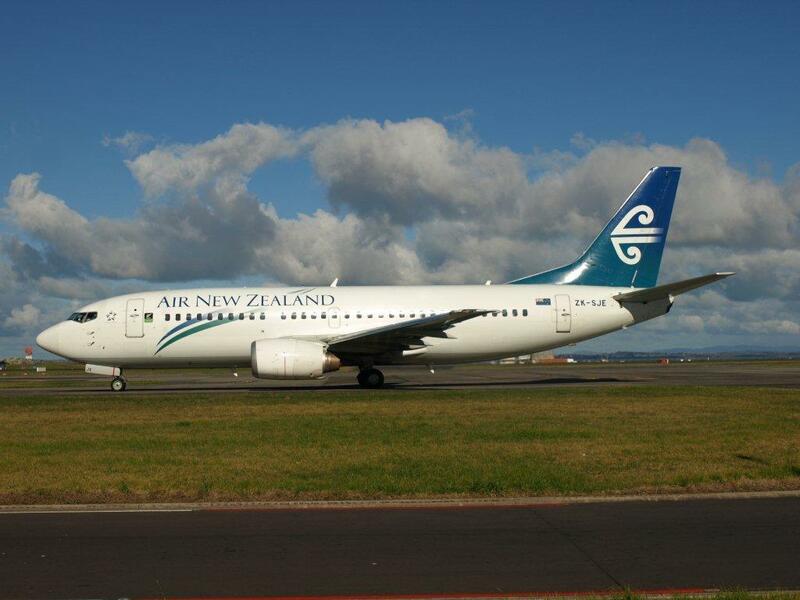 ZK-SJE, taken in Auckland yesterday, still wears its Pacific wave. I am not sure whether SJB still has its Pacific wave, but the rest of the 737 fleet has lost its... I can't say I'm sorry, I never liked it! One wonders if we get a new colour scheme with the new 777-300s. http://www.flyertalk.com/forum/air-new-zealand-air-points/1106957-new-seat-trial-atr.html has a piece on new seating being trialed on Air New Zealand Link ATRs. At least one of the ATRs has a couple of rows on the new seats which are a lot thinner than the current style with a curved back that allow for at least a couple more inches of leg room. 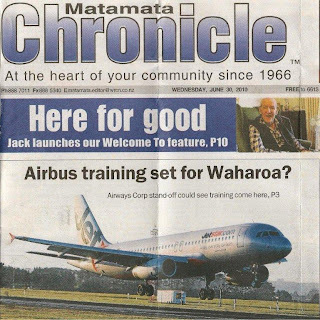 No, Jetstar Airbus 320s are not going to be seen in the Matamata circuit... CTC Aviation which recently announced a new cadet scheme with Jetstar is having a dispute with Airways Corporation over fees for their training operations at Hamilton International Airport. CTC is interested in using the likes of Matamata or Whakatane to offer a cheaper option for their training. However, the story did make for an exciting photo for the cover of the local paper, the Matamata Chronicle. 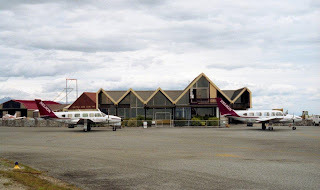 In the past Matamata has had various operators offering non-scheduled services including SPANZ, Geyserland Airways and Air North. Air North's air service was the last, ending in the late 1970s. 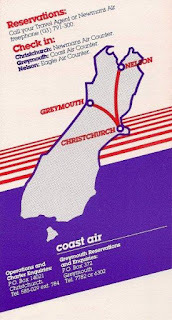 From the mid 1970s Coast Air Charter started to develop as an important charter operator, based at Greymouth, but with aircraft also operating from Hokitika, Reefton and Westport. They had a range of single engined Cessna aircraft engaged on, among other things, charter, private hire, training, air ambulance, aerial photography. Coast Air Charter's Cessna 177 Cardinal ZK-DIH at Hokitika on 23 April 1984. Cessna 207 ZK-EJD at Greymouth on 25 November 1984. From early days the company was interested in some form of more regular scheduled work. 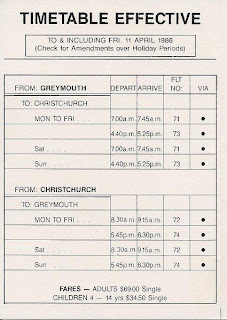 In 1977 it tried, unsuccessfully, for a temporary licence to transport passengers, on demand, between Greymouth and Christchurch. 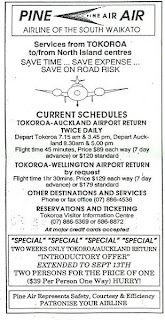 In September 1980, following Air New Zealand announcing their proposal to axe flights between Westport and Hokitika/Christchurch and to reduce flights to Wellington, Coast Air Charter announced plans to start daily feeder services to Westport. 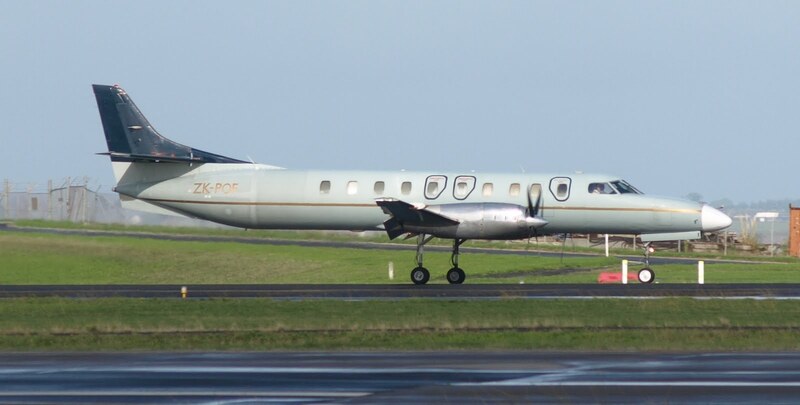 The company planned to connect with Westland Flying Services flights to and from Christchurch at Greymouth and with the Air New Zealand flight to and from Christchurch at Hokitika. As things transpired the revised Air New Zealand service saw Wesport linked to both Wellington and Christchurch via Hokitika on Mondays Wednesdays and Fridays. 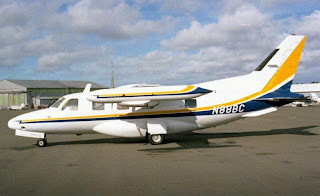 Coast Air Charter offered a feeder “air taxi” service linking Westport with the national airline on the other days of the week. There seemed, however, to be little interest in the service, the people of Buller being more interested in the reinstatement of the Air New Zealand service. 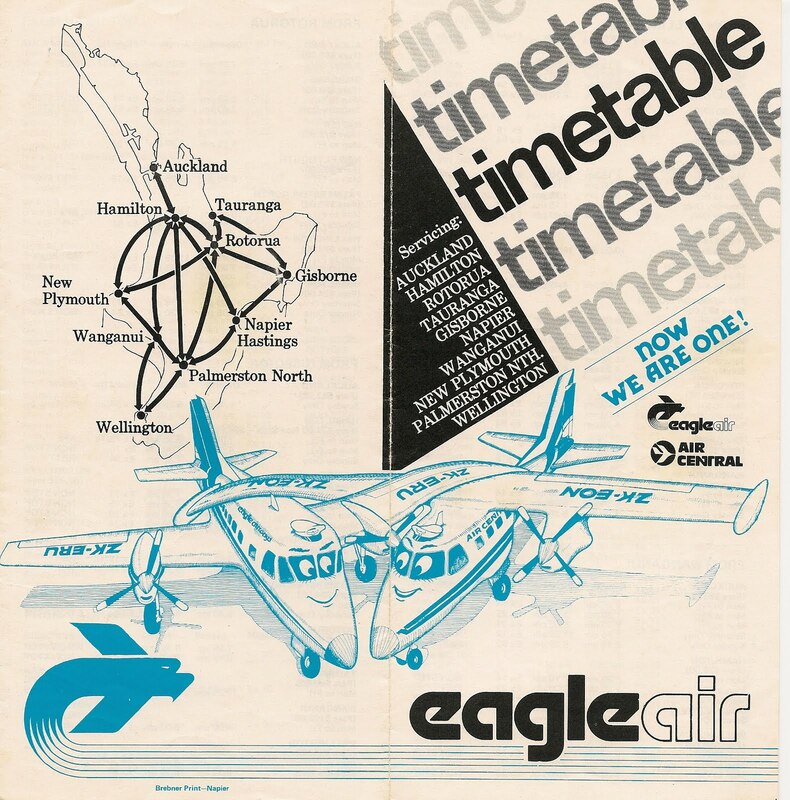 The company’s next attempt to establish a scheduled service was in December 1983 when the company applied to Air Services Licensing Authority to operate a scheduled air service between Christchurch and Greymouth with a De Havilland Canada Twin Otter. While the authority was satisfied that the proposed service was necessary and desirable, it was not satisfied that the company had the financial ability to run the service. The company set to furnishing this evidence reapplying in the new year. However, in the interim, new legislation in the form of the Air Services Licensing Act of 1983 had come into force. 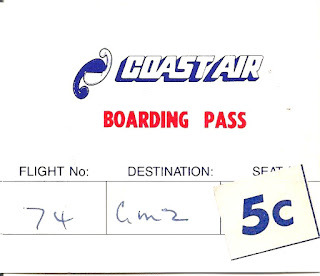 This insisted that Coast Air Charter replace its existing charter licence by the 31st of March 1984. The new legislation also required that the company obtain a new “B licence” to operate a Twin Otter. There was a complication, however, in that they could only apply for the new licence after the 1st of April when the new act came into force. 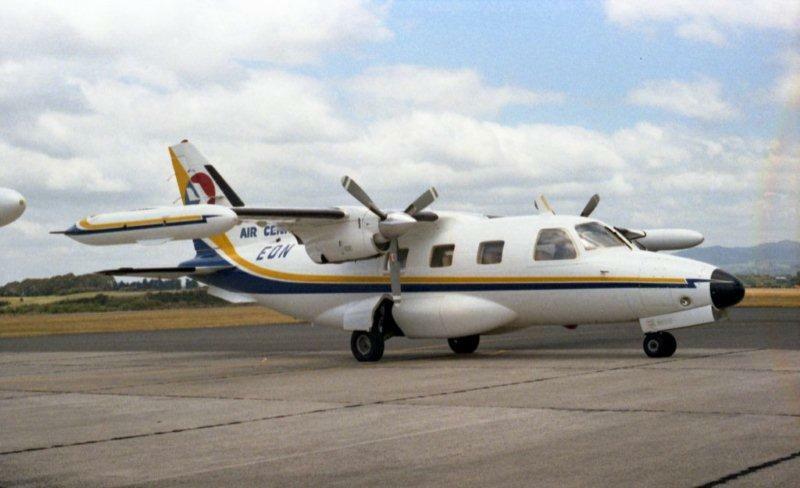 By late July 1985 the company had obtained the necessary licence and had raised enough money for the hire purchase of a Twin Otter. The original choice was for an ex- Canadian Government aircraft, which once imported, was expected to cost around $1.5 million. The Mayor of Greymouth, Dr Barry Dallas, being very hopeful for the future of the service told the Greymouth Evening Star that previous efforts at providing such a service had been laudable, but had failed through under-capitalisation and unsuitable timetables. "The present enterprise has been thoroughly researched and has a healthy financial backing. 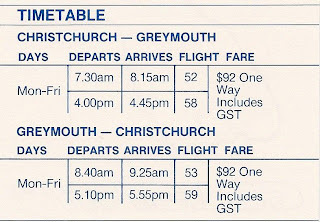 The timetables will enable Coasters to do same day business in either Auckland or Invercargill.” At this time the company was also exploring a daytime Greymouth¬-Glaciers-Mount Cook tourist connection service to increase utilisation between the planned morning and late afternoon trans-alpine services. In the end the Canadian aircraft fell through and instead an Alaskan short nosed Twin Otter was sourced. The Twin Otter, N250CM, (c/n 250) was built in 1969. (See http://www.ruudleeuw.com/guestphotos-10.htm and search for OTR to see a great photo of an early incident involving this aircraft.) Crowley Maritime obtained it in 1979 and used it for supplying their operations on the Alaskan North Slope oilfields as well as flying ice flow patrols for shipping. It left Alaska under the command of Canadian pilot Jim York who flew her from Anchorage first to Oakland in California, then via Honolulu, Pago Pago and Auckland to Ashburton arriving on the 22nd of November 1985. Plans to land in Greymouth on the way south were thwarted by poor West Coast weather. The Twin Otter spent a week in Ashburton while registered as ZK-OTR, being refitted for passenger operations, obtaining its certificate of air worthiness before spending another week for pilot training and route proving. The De Havilland Canada Twin Otter in its American registration the day after it arrived in New Zealand at Ashburton on 23 November 1985. The company, meanwhile, was preparing to launch the service on the 9th of December 1985. 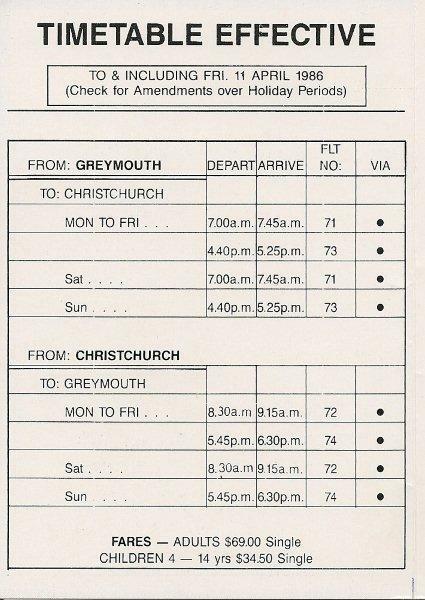 The original plan saw a Greymouth to Christchurch and return twice a day on weekdays and daily in the weekend. 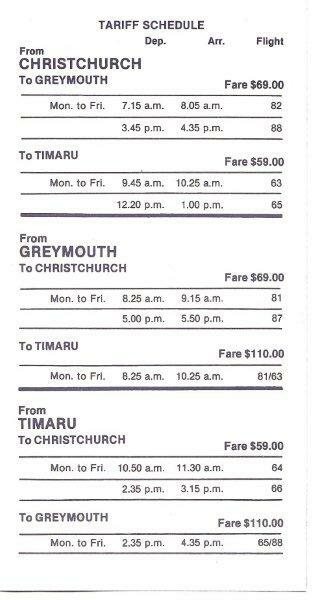 Single adult fares were to cost $69 with children under 14 half price. The company also envisaged a door-to-door freight courier service. Once again, however, problems beset the company. 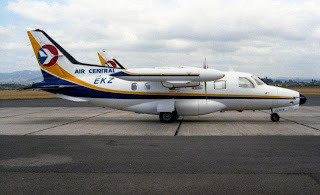 They rescheduled their start date to the 9th of January 1986 but then the Civil Aviation division of the Ministry of Transport announced the airline did not have the air service certificate which allowed it to fly the Twin Otter commercially. Civil Aviation also said the Category B air transport licence was also in abeyance while waiting for the difficulty over the air service certificate "to be sorted out." The situation was further complicated by the sudden resignation of Coast Air's chief captain, Captain Fred Holtkamp. The planned inaugural trans-alpine flight was cancelled and the 20 special guests who were to take the VIP flight to Christchurch made do by enjoying a short scenic flight. DHC Twin Otter ZK-OTR at home at Greymouth on 23 February 1986. 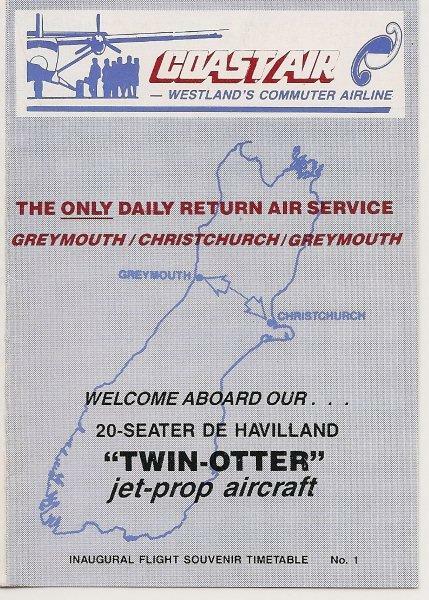 The service finally got airborne on the 17th of January 1986 when the Twin Otter, named “The Province of Westland”, left Greymouth at 7.00am arriving back in Greymouth at 9.15am. The afternoon service left Greymouth at 4.40pm, returning at 6.30pm. 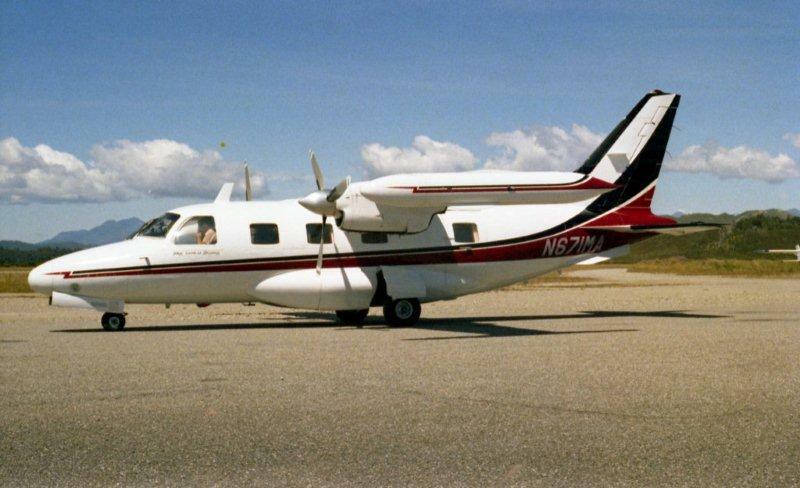 By March 1986 the company was looking for more work for the Twin Otter. 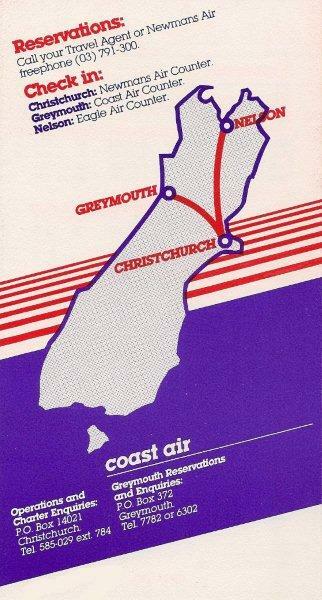 Originally the company had planned a service south from Greymouth to Franz Josef and Mount Cook. 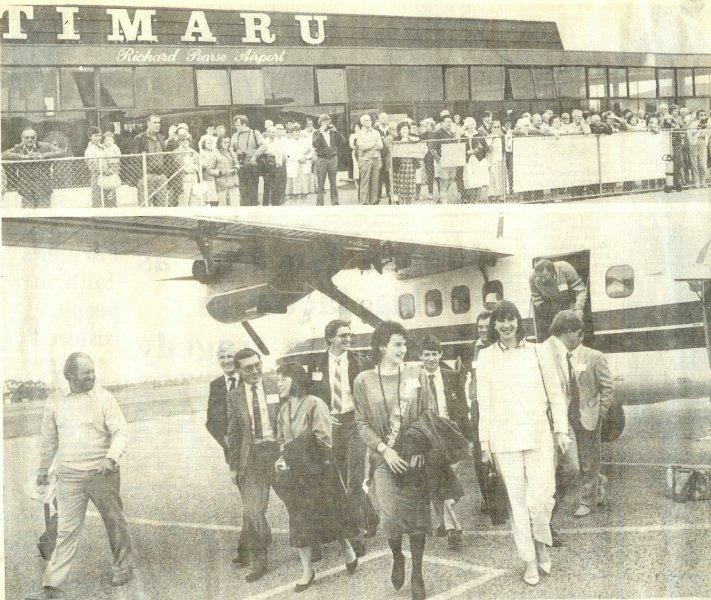 However with the Mercer Airport at Franz Josef washed out the company turned its attention to Timaru after approaches from Timaru interests who wanted a direct air service to Christchurch. Coast Air, Flight No. 12 Christchurch to Greymouth. Est. flight time: 45 min. Actual flight time: 54 min. Check-in procedures, handled by Newmans Air, were done efficiently and in a friendly manner. A boarding call was made at 8.23 a.m. and passengers were directed to the de Havilland Twin Otter parked at Gate 2. The aircraft has 20 seats made up of five rows of one plus two, one row of two seats, and a row of three at the rear. The seats are basic and narrow with limited leg room, but they are adequate for such short duration flights. (Incidentally, the best seats as far as plenty of space is concerned are the three at the rear.) Passengers were personally welcomed on board by one of the pilots who also gave the safety briefing. Biscuits with pate and packets of fruit juice were available on a self-help basis. As a non-smoker in a relatively confined area I was pleased by the prohibition on smoking for the duration of the flight. Smokers unable to survive without lighting up for 45 minutes might not be so happy. The noise level was tolerable - in fact, this Otter was a lot quieter than others I have flown in around Fiji and Canada. Twenty-five minutes after take-off we were at an altitude of 10,000ft and crossing the Main Divide slightly to the south of Arthur's Pass at 170 knots (183 miles an· hour). Ten minutes later we were overhead Hokitika. (A dense layer of cloud on the West Coast forced the pilots to use I.F.R. (instrument flight rules) procedures and to home in on the Hokitika beacon before starting their let-down along the coast to Greymouth.) We landed on Greymouth's sealed strip at 9.25 a.m. The flight was smooth and pleasant. In clear weather a feature of this service will be the magnificent mountain scenery flown over at comparatively low altitudes. Unfortunately, viewing is impaired at present by the badly crazed and scratched state of most of the windows. Shooting satisfactory photographs would be impossible. (I was told later that Coast Air is considering replacing the damaged panes with new glass.) Over all, this new link between Greymouth and Christchurch should prove popular with businessmen and tourists alike. Having spent four hours driving the route through Arthur's Pass the previous week, I am now in no doubt about the way I will prefer to go in future. I only flew on the Twin Otter once... it was, apparently, the first time it had had a full load. The aircraft took an hour flying into a punchy nor-wester with the plane letting down on the Hokitika beacon before flying VFR up the Coast to Greymouth. Nowadays Greymouth has a GPS approach. The southern service began on the 21st of April 1986. 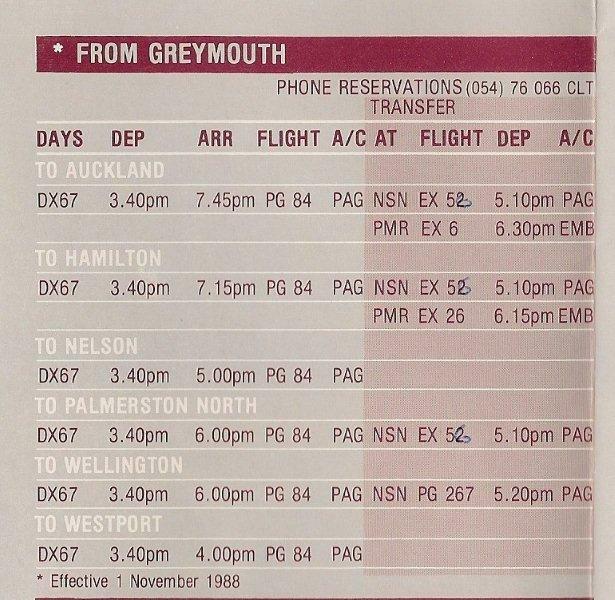 Timetabling the service was not easy given that the aircraft was based at Christchurch for the winter. 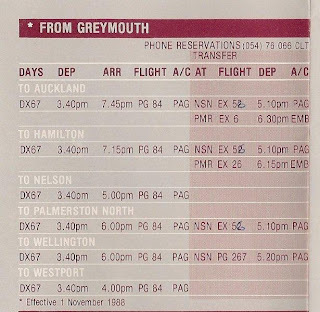 As Greymouth did not have runway lights the first flight was timed to reach Greymouth just after daybreak. 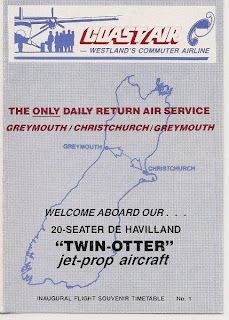 Upon returning to Christchurch, the Otter then flew two return flights to Timaru before flying back to Greymouth in the later afternoon to be airborne back to Christchurch before dark. However, the Timaru service did not generate enough traffic. During one week only six passengers were flown so it was inevitable happened on the 28th of May when the service was discontinued. 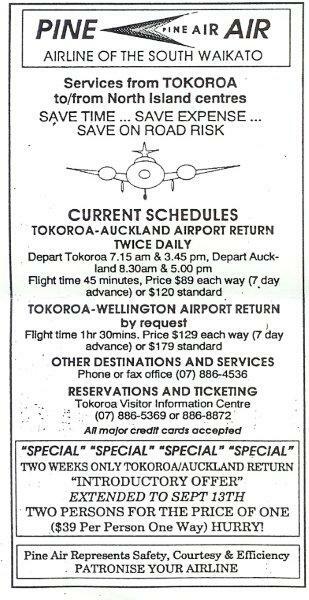 Following the short-lived Timaru service the company Air looked to Nelson and at the end of June 1986 a new twice Christchurch-Nelson service was announced. The company’s’ director, Mr Bert Waghorn, told the Greymouth Evening Star that “Coast Air's east-west flights were doing well but the company was still making a loss. He noted that that Air Albatross had been making five return trips a day between Nelson and Christchurch with an 82 per cent load factor before it went into receivership. All we need is 50 per cent to make a profit." 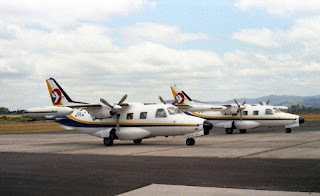 Coast Air’s Twin Otter service, which had to compete with Air New Zealand’s Friendship service and Goldfield’s Air Piper Navajo service, began on the 21st of July 1986. The Twin Otter was based at Nelson with southbound flights leaving Nelson at 7.20am and 2.20pm with northbound flights leaving Christchurch at 11.20am and 6.20pm. 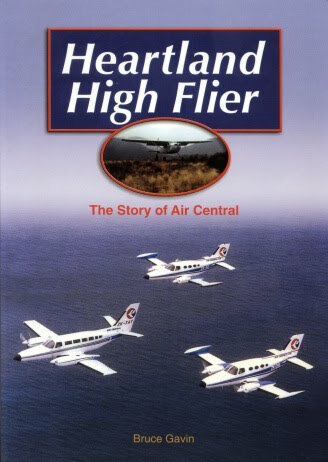 The Twin Otter was not fast, with a flight time of 75 minutes scheduled as opposed to 50 minutes in the Friendship. 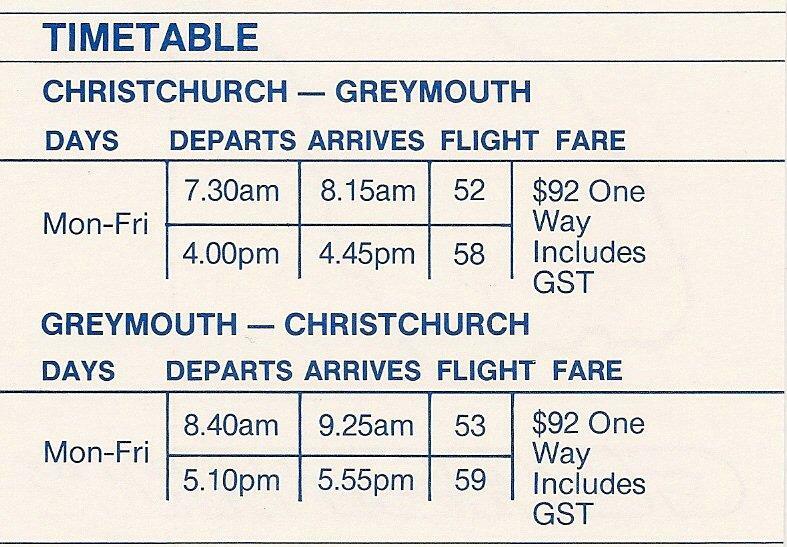 The Christchurch-Nelson link also necessitated changes in the timetable for the Greymouth flights. These now left Christchurch at 8.55 a.m. and 4.00pm and from Greymouth at 10.05am and 5.10pm, times not so suitable for West Coast business people. 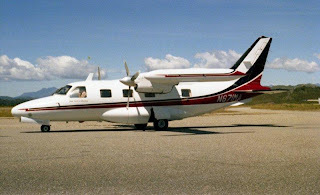 Despite the best efforts of Coast Air, and with an average occupancy of 7.6 the passenger numbers didn’t warrant the Twin Otter which incurred losses of around $1m. 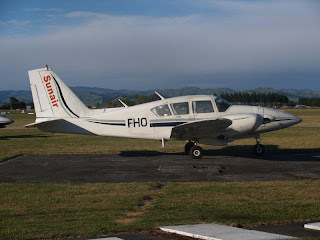 Also, while the aircraft’s STOL performance made it ideal for operating in and out of Greymouth’s short runway, it’s fixed undercarriage made it slow and unattractive for the Nelson service. 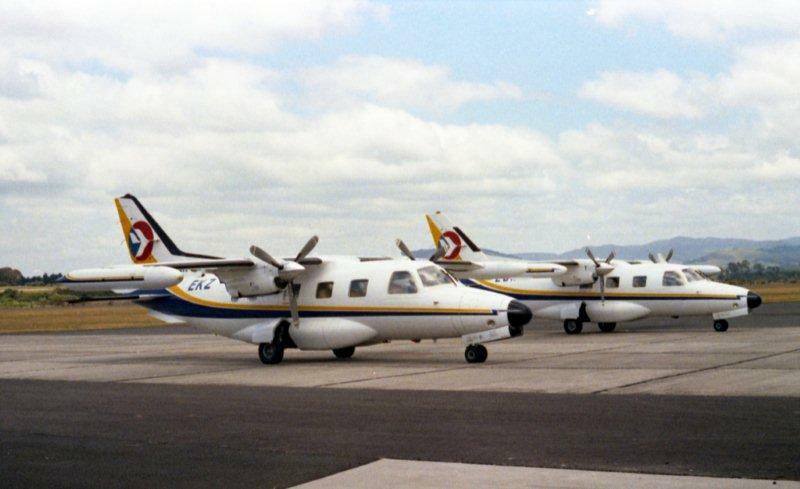 A major rethink was called for and in late December 1986 the Twin Otter was replaced by a leased eight-seat Piper Navajo, ZK-JGA (which had previously been operated by Goldfields Air - http://3rdlevelnz.blogspot.com/2010/02/photographed-at-taieri-on-6-february.html). 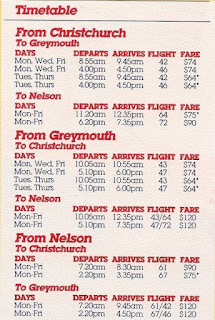 The Nelson service was dropped and three return flights were offered between Greymouth and Christchurch on weekdays. 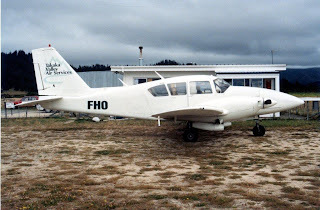 Piper Pa31-310 Navajo at Greymouth on 21 December 1986. Further changes were made to the company in April 1987. The directors and officers of the company resigned and Hokitika businessman Bruce Smith of Como Holdings was appointed managing director to oversee the financial reconstruction of the company. Pilot numbers were reduced by one, the office manager, Mr Harry Kitchin, who had been with the company since its inception, was made redundant, and the mid-day service was dropped in an endeavour to cut costs. The company continued to incur financial difficulties and on the 29th of February 1988 the Greymouth Evening Star carried the headline “Coast Air Still Flying Despite Suggestion it Might Cease” and detailed the necessity for massive fixed and working capital investment in the airline. At the end of March Como Holdings, itself facing financial difficulties, announced it was going to reclaim and sell the Piper Navajo aircraft it had been leasing to the airline for the past 14 months. In the light of this an announcement was made that the airline was to cease operations on the 15th of April with the directors expecting to incur a loss of some $750,000. A few days before the air service ended... ZK-JGA departs Greymouth on 14 October 1988. Despite being placed in receivership the receivers managed to relaunch Coast Air which had actually been operating as a viable concern for the previous 12 months. Once again the airline used Navajo ZK-JGA, leasing it from its new owner Air Nelson. Fares increased by 18 percent and instead of two full-time pilots, the new operation had one full-time and one part-time pilot. The airline restarted services on the 2nd of May. However, having seemingly weathered one problem another was soon to arise when Air New Zealand announced that Friendships would be withdrawn from Hokitika and replaced with three Metroliner daily return flights between Hokitika and Christchurch running at similar times to the Coast Air flights from nearby Greymouth. Although Coast Air announced their service would end on the 31st of October, the final flight between Greymouth and Christchurch was on the 17th of October 1988 due to exceptionally light loadings on the final planned services. Low-fare airline Jetstar is expanding its transtasman services with flights from Melbourne and the Gold Coast to Queenstown. Jetstar will start twice-a-week flights from the Australian airports in December and also expand its Auckland to Queenstown service from daily to 11 times a week. Eagle Air’s addition of more flights to Wanaka from the end of August has necessitated flight changes to the Hokitika-Christchurch service. The Air New Zealand website shows that Air National will now provide eight Christchurch-Hokitika-Christchurch flights per week instead of the current four. 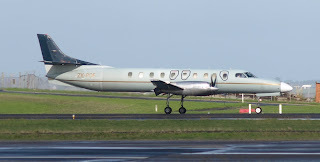 Jetstreams will replace Beech 1900s on the early/mid-morning CHC-HKK-CHC flights Monday to Friday and the late afternoon CHC-HKK-CHC flights on Mondays, Wednesdays and Fridays. At present Air National operates a late morning CHC-HKK-CHC flight. This flight will be operated by a Beech on Mondays and Fridays with the Wednesday and Thursday services being cut. Some month's ago someone sent me an email about Air Central in which he said, "The Rice-rocket is my all time fav, many fond memories of them in Gisborne as a lad!" Air Central's third Mu2 was ZK-ESM (c/n 528) which I never photographed. 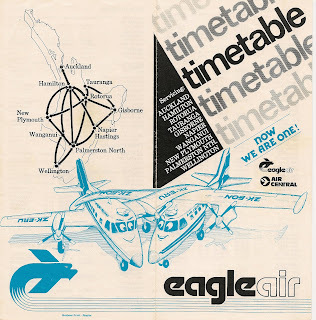 Eagle Air purchased Air Central in 1983. 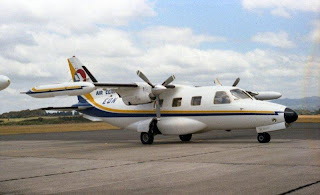 The Mitsubishis operated with Eagle for a time but were quickly replaced with a Bandeirante and three Piper Chieftains.